Regions: Skopje, Northeast, Southwest, Vardar, Polog. 20 months: from 14.12.2015 to 14.08.2017. Тo increase the activation and involvement of persons at risk of social exclusion in the labour market by mobilising and/or improving their skills, education, qualification and facilitating their full integration into the society and in particular their access to the labour market. To identify and transfer good practices of labour market integration of people at risk of social exclusion and ensure their greater impact and multiplication. Enhancing the skills of employment and social care professionals. 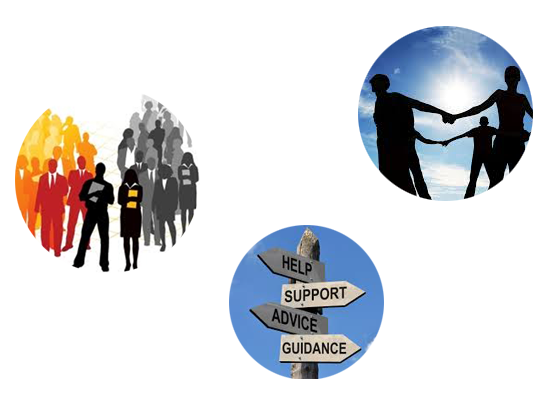 Provision of seminars targeted at employment and social care professionals on practices concerning “Mentoring for Social Inclusion”. The seminars will train prospective mentors in the basic knowledge and skills needed to build an effective mentoring relationship with the target groups in the process of drafting individual action plans. Reinforcing the motivation, participation and employability of the groups at risk. Activities will be designed to meet specific needs of the target groups. Design of advisory and counselling services in order to strengthen the family cell structure and to cope with family dysfunctions. Fostering networking and partnership-building of service providers. Development of proposals on strengthening inter-institutional cooperation among local Employment Centres, Centres for Social Work, Local Authorities and NGOs. A gender equality perspective will be running horizontally throughout all the proposed activities.